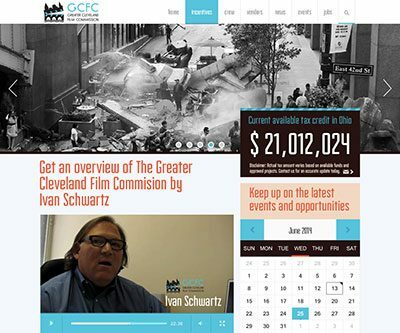 The Cleveland Film Commission needed a new site redesign in a contemporary way that showcases what the film commission does for production companies as well as the local community. Items that were important to present were the total tax available to producers, showcase locations opportunities, with the ability to view them by characteristics and neighborhood, as well the economic impact that the film commission has had on Cleveland. A lot of ideas for ways to showcase the film commission’s benefits were presented in the designs.